The reality is, it’s already happening. Microsoft has created augmented reality glasses called HoloLens that allow a person to view and manipulate holograms with a simple swipe of the finger. The HoloLens isn’t yet available to the public, but surgeons have started to use this type of augmented reality technology on an experimental basis to create 3D holograms of CT scans, MRI scans, and X-Rays. Other HoloLens users around the world have taken the technology to even greater lengths and used the glasses as a teaching tool for their colleagues. In one case, as a surgeon conducted a laparoscopic surgical procedure on a cancer patient, he used HoloLens glasses along with an app to visualize a 3D model of his patient’s body. Then, by using a virtual telepresence solution, he was able to invite other surgeons from around the world to not only view the 3D model of the body but also interact with the patient in real time as if they were in the same room. The HoloLens is also being used to teach a new generation. Microsoft is currently working with Case Western University in Cleveland to create a holographic and interactive human body that medical school students can study and investigate. Just think – rather than depending on the old school textbook method of learning how the body works, tech-savvy medical students who have grown up with a smartphone in hand, now have a completely new way to understand and interact with the human body. In addition to exploring the digital reproductions of the body, students are using augmented reality in a collection of other ways. Through technological advances, they can witness life-sized versions of the inner-workings of the human nervous system or better understand how the brain functions. The HoloLens is just one example of how augmented reality is changing the surroundings that doctors and surgeons operate in. Researchers at Google have developed an augmented reality microscope that captures real-time data from a neural network that is trained to detect cancerous cells and place them in plain sight of the pathologist viewing the images. The prototype of this AR microscope can be configured to identify both breast cancer and prostate cancer cells. Better yet, hospitals that want to take advantage of this new technology can do so without replacing their current microscopes. By simply retrofitting a digital camera onto existing hospital equipment, augmented reality makes it possible to overlay digital images into the normal view of the user. It’s not just the tech giants like Microsoft and Google who are leading the AR charge, either. Janus Health AR’s app is innovating the way dentists approach tooth modifications through 3D modeling. Mundipharma’s breatherite app measures asthma treatment. The Lucile Packard Children’s Hospital at Stanford is using AR in its Childhood Anxiety Reduction through Innovation and Technology (CHARIOT) program to help relax pediatric patients during uncomfortable and painful procedures. Augmented reality can seem futuristic in a lot of ways. But while it’s still being developed and improved, each day this emerging technology becomes an even bigger part of our lives. AR is just in its infancy. For medical professionals, the possibilities of incorporating augmented reality into their practice are endless. As more technological solutions are introduced and the widespread applications for AR further expand, doctors and surgeons will see change happen right in front of their eyes. And the patient will ultimately receive better care. 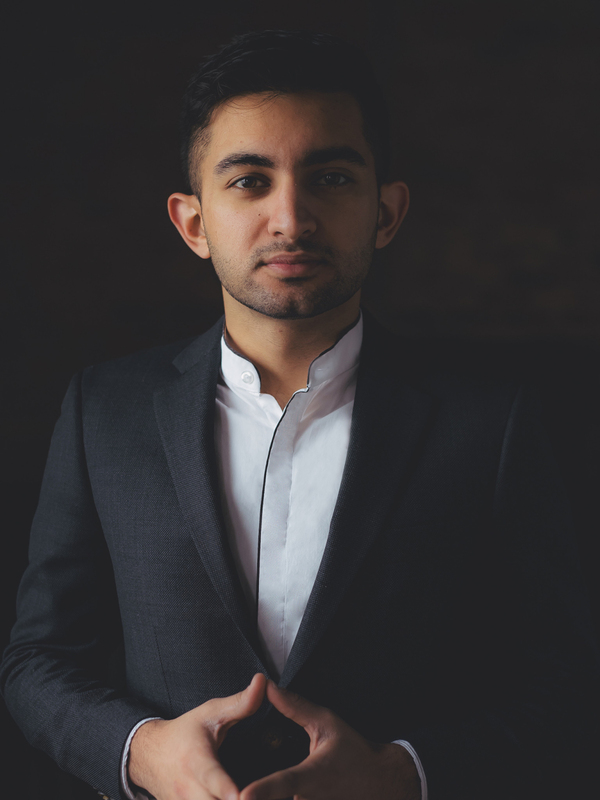 About the author: Aaqib Usman is a serial entrepreneur and the founder of Midwest Immersive, a cutting-edge interactive multimedia studio specializing in augmented reality, groundbreaking projection mapping techniques, and advanced audio-visual software. His passion for these emerging technologies, coupled with the art of storytelling, gave Aaqib the foresight to see the potential of how combining the two can create brand experiences never seen before. National and global brands like Adidas, Cadbury, Invisalign, Nike, Lurie Children’s Hospital, Make-A-Wish Foundation, and 1871 partner with Midwest Immersive to "bridge the physical and digital together." Aaqib is also a member of the Shorty Awards’ prestigious Real Time Academy.